we are a experienced guys in web development with more then 5 year [login to view URL] strated freelancer for startup. we will provide a quality work in efficiently budget and support for your problem and your project. we will provide solution for all web issue and web development. We are actively working on open source technologies in Web development , Expert in latest technologies Ajax, Jquery, PHP, Web 2.0. 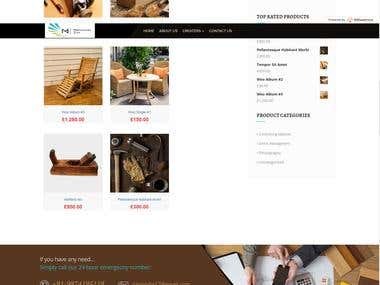 We have worked for almost all industries and have developed all type of projects like E commerce, Dating, Auction, CMS based - WordPress, Drupal etc. MVC based - Codeigntor , LARAVEL etc. Mobile application development Click on HIRE ME button in the Right corner to start our business relationship. Just CONTACT US and you will have best solutions as per your vision in COST EFFECTIVE RATES.